And the general answer that I always get is – to get guidance for some problem or the other; and therein lies the solution to the question of why we are unable to connect! The biggest and the most important reason that we cannot connect to our spiritual guides is that we want to do it randomly- all required basis. This, in turn, means that it is not our regular desire to be in permanent connection or to be in touch with them all the time. Let’s go over these three important aspects. Don’t you see so many people trying to tell you what is right and yet they do the exact opposite when it suits them? What does it say? For purifying our souls, we have to lead a life which is devoid of any deceit, desires, and self-gain. We must have compassion as well as the love for the living uppermost in our mind. On the other hand, you would be able to connect to your spiritual guides with the minimum of practices as well as procedures if your intent, as well as daily conduct, is correct. Try to be a soul that attracts other souls. 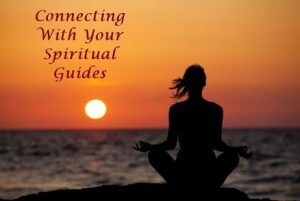 When done correctly, you would find that your connection with your spiritual guides would be the most meaningful and profound one that you will cultivate in your life. It will balance you, ground you, and nurture you in every walk of life.